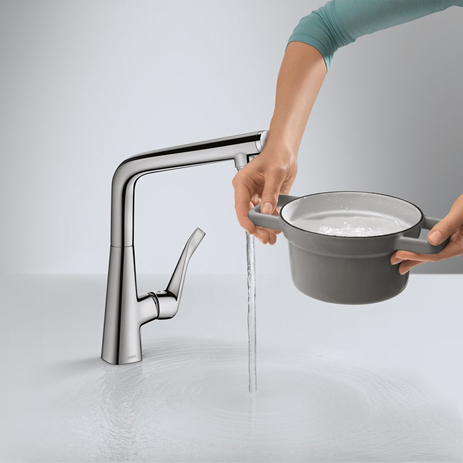 Metris mixers embody intelligent multi-functionality, convenience and design. 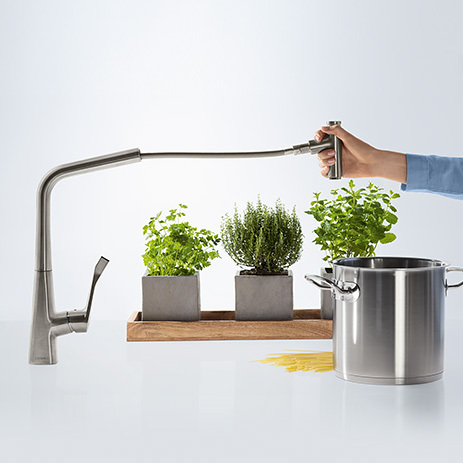 They will make your kitchen chores much easier! 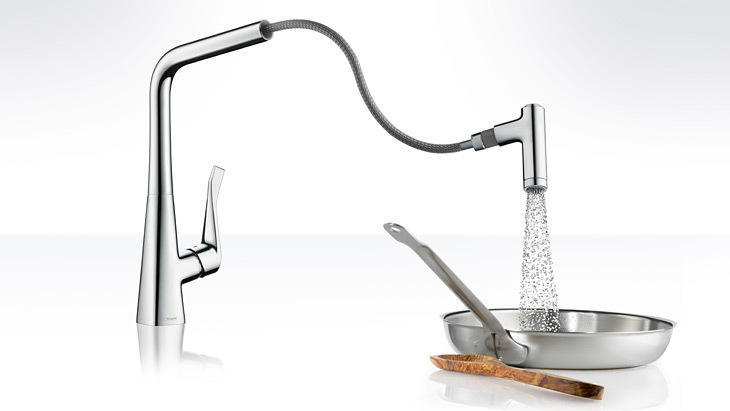 For example, a hansgrohe hand spray featuring different jet types. Whether you're dealing with fish or fruit: the ample-sized shower spray is ideal for thoroughly cleaning and rinsing; the normal spray fills up pots and bowls quickly and with perfect aim. On the Metris Select kitchen mixer, the Select button assumes control: The water is turned on or off with a simple push of the button. 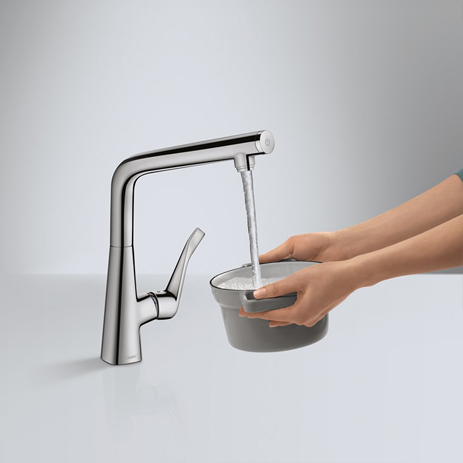 Temperature and water volume are set on the lever handle right at the outset and remain constant. 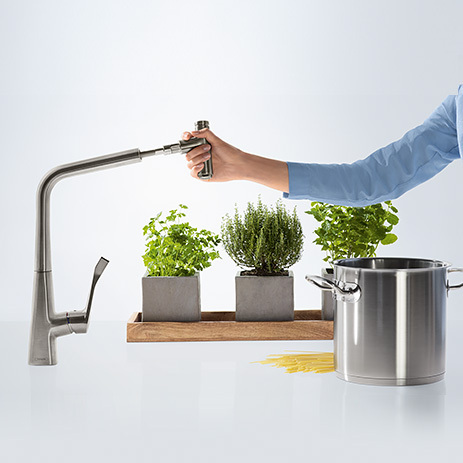 Added convenience: Use the ergonomically positioned button to turn the water on and off with pinpoint accuracy while you're on the go - you can even use the back of your hand or your forearm for this. Intuitive operation guarantees smooth workflows and ease of use for people of all ages. Ideal, too, when your hands are full or dirty: this keeps the mixer clean. A plus for the environment: the Select technology is purely mechanical, requiring no additional electricity. Repeatedly turning the water off between work procedures also means you will consume fewer resources. 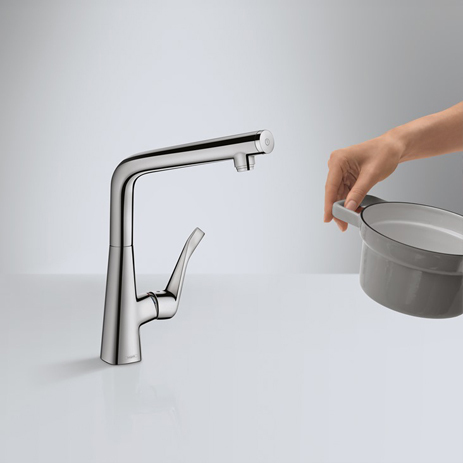 Greater flexibility: enjoy up to half a metre of extra elbow room at the sink unit. 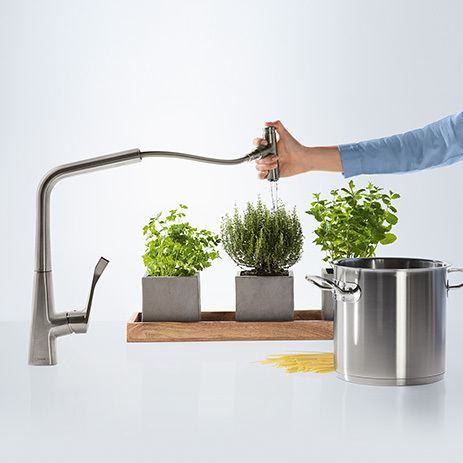 The Metris Select mixer with practical pull-out spout offers this. 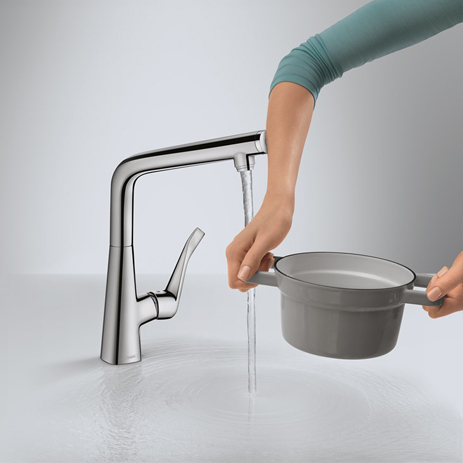 The combination of Select button and pull-out spout consolidates the work steps involved - everything can be done using one hand. Simple is best. Metris Select will make your work processes easier, at the simple touch of a button. 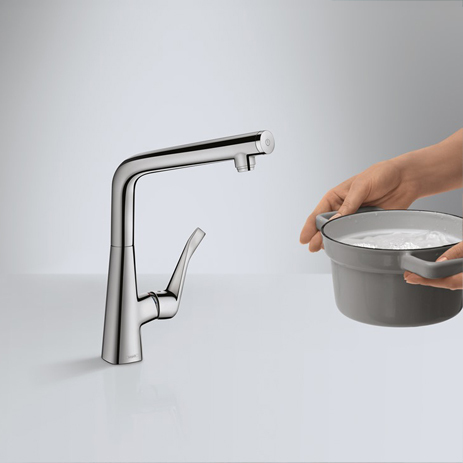 Available in two models: single lever kitchen mixer with swivel spout and single lever kitchen mixer with pull-out plus swivel spout. 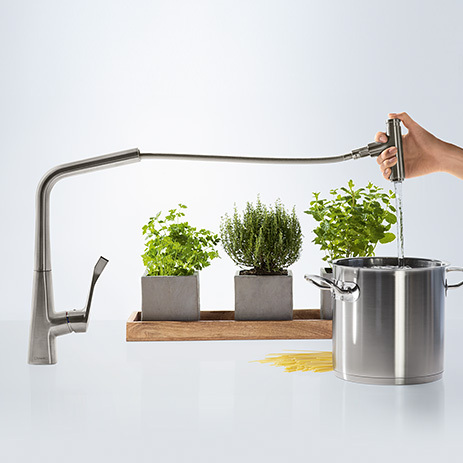 Perfect to hold and perfectly designed: As well as the 2-jet mixer with hand spray, the Metris kitchen range also offers a version with a single-jet pull-out spout and a variant with a swivel spout.